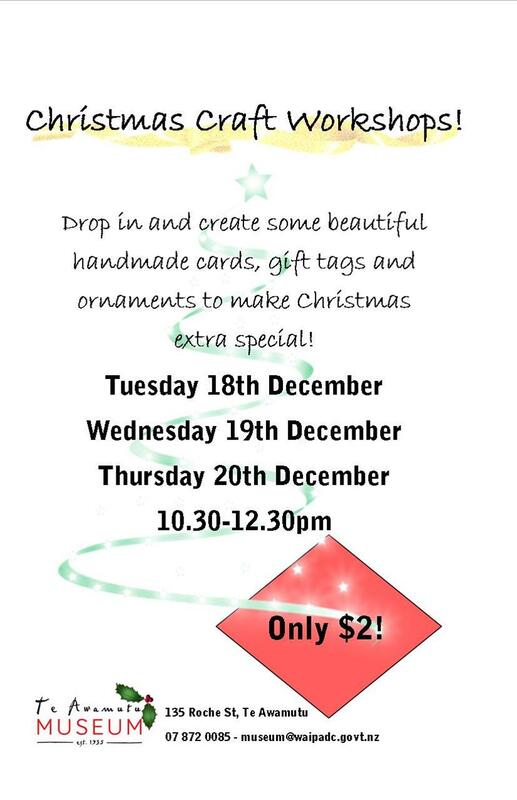 Christmas Craft Workshops – COMING SOON! 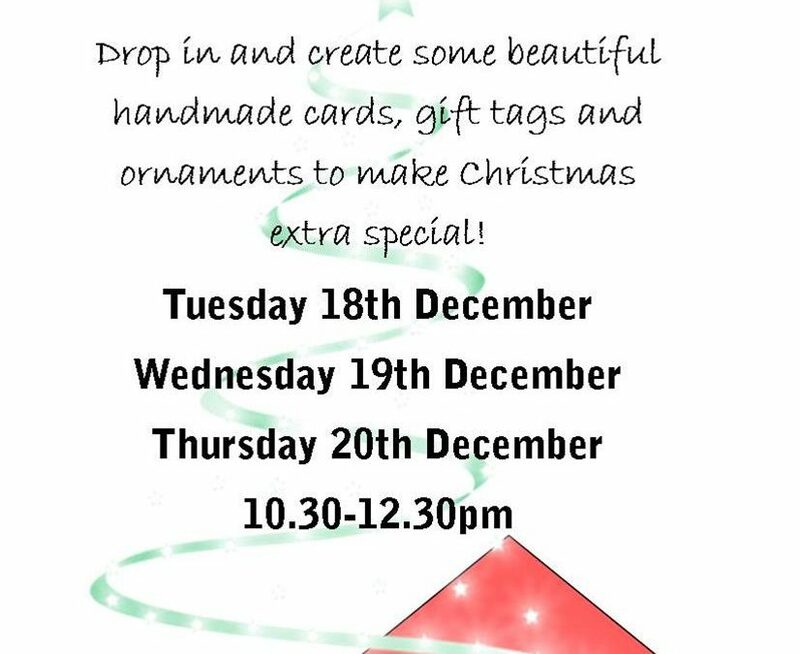 Drop in anytime between 10.30-12.30 on 18th, 19th or 20th of December for some crafty Christmas fun! Participants will create lovely Christmas cards, gift tags and tree decorations using pressed flowers. 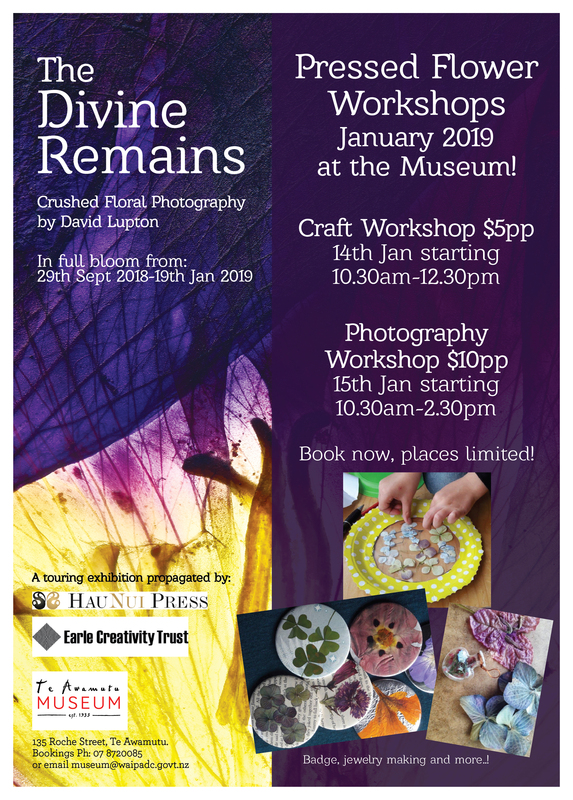 While you visit, make sure you check out our current touring exhibition, The Divine Remains, a beautiful photography exhibition showcasing pressed flowers as you’ve never seen them before. 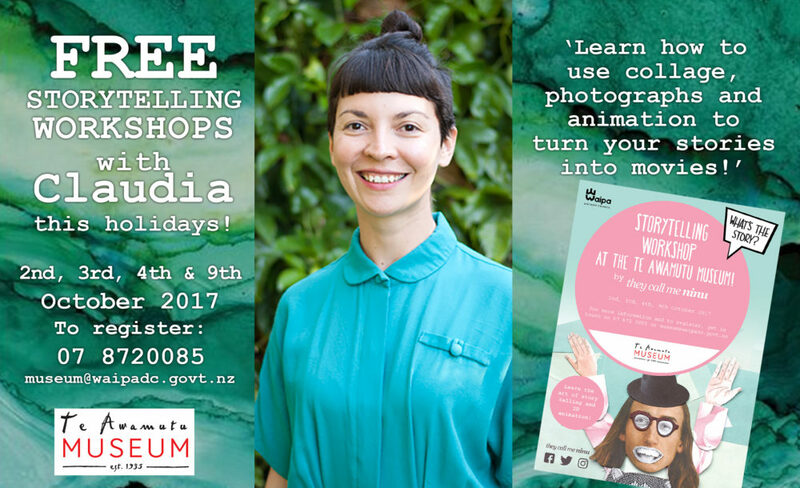 No registration required, just call in! 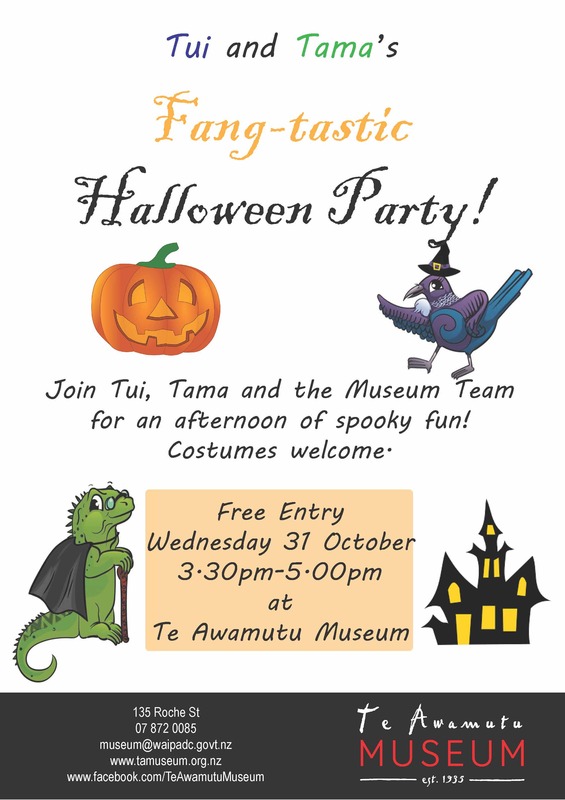 Tui & Tama’s Fangtastic Halloween! 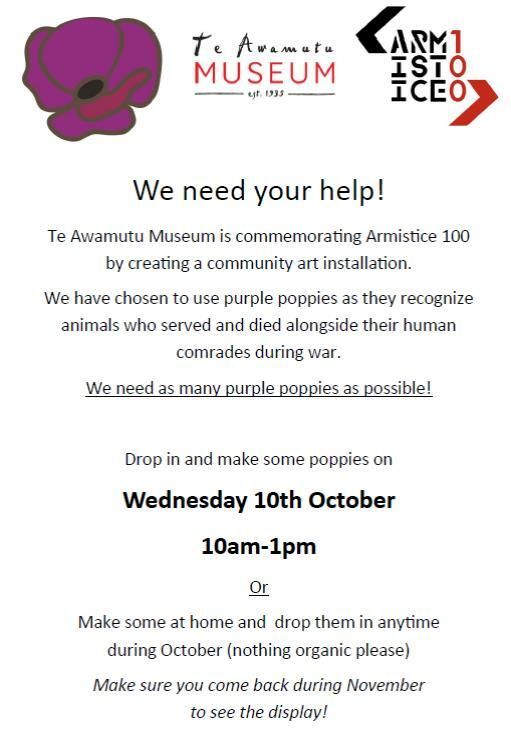 Drop in Craft Session – All Welcome! The Divine Remains – blooming soon! Don’t miss our next touring exhibition offering, The Divine Remains featuring photography by David Lupton. 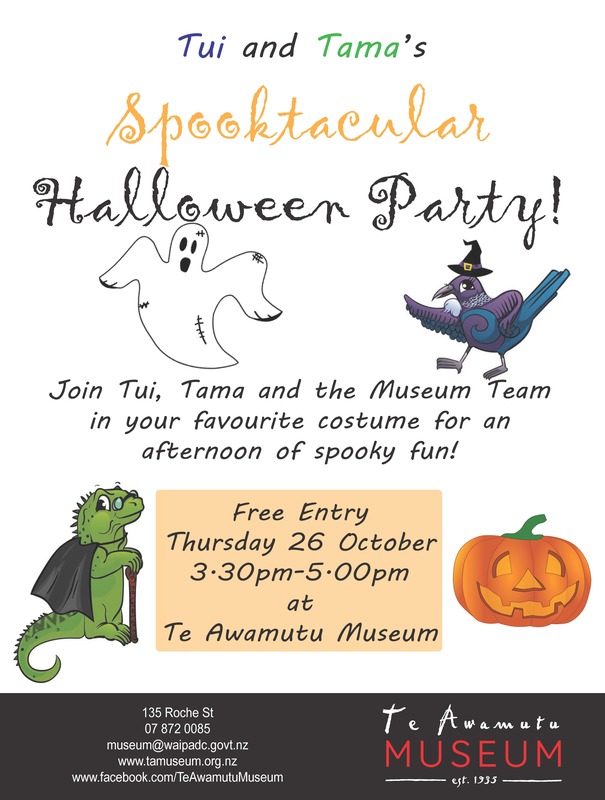 Tui & Tama’s Spooktacular Halloween Party!